Sony almost seems uncomfortable with how good its midrange offerings are. Yes, the Xperia Z series was awesome, but it's gone now and the Xperia X got a lukewarm reception. Yet Sony keeps putting up the image of a premium maker, with the low and midrange almost as an afterthought. Well, we loved the Xperia XA looks (much more than we did the X) and we've grown quite fond of the Xperia XA Ultra too. Besides the huge screen, it's the selfie camera that we liked most. It's the best on the market hands down. Even more expensive phones can't match it, not the HTC 10 (5MP + OIS), not the Oppo F1 Plus (16MP). It offers high-quality stills and videos, great dynamic range, especially with HDR. HDR takes forever to process, though, we would have liked to see a faster chipset. It handles most apps easily, but the Helio P10 isn't cut out for gaming or fast image processing. The screen - the huge 6" screen - is bright and offers high-contrast and great viewing angles. Color reproduction is not perfect, but more accurate screens in this price range are rare. The metal frame of the phone feels pretty upscale and Sony even managed to fix up the battery life (it's still well below what we expect from phones this size). The main camera is excellent for the class with good quality stills and video. Again, it gets better with HDR if you're patient. 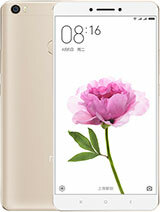 When it comes with large-screen alternatives to the Xperia XA Ultra, you haven't known "huge" until you've used the Xiaomi Mi Max (well, unless you've used 7" tablets as your phone). The 6.44" phone is a big slab of metal and glass. It comes with a fast chipset - Snapdragon 650 or even better, 652. You can get anything between 2GB and 4GB of RAM and from 16GB storage all the way up to 128GB. It runs a heavily customized Android 6.0 Marshmallow. The 16MP main camera is quite good and even shoots 2160p video. The 5MP selfie cam feels ordinary, though. The huge phone offers a matching battery life too, 108h of endurance. 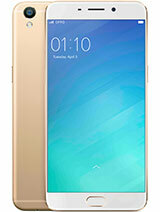 The Samsung Galaxy A9 (2016) is another handful. This one has a 6" Super AMOLED screen, which is brighter and has much more accurate colors than Xperia's screen. The A9 comes with the Snapdragon 652 chipset and runs Android 6.0 Marshmallow with a lighter custom touch than Xiaomi's. Both of its cameras have a bright f/1.9 lens, the main 13MP camera packs OIS while the selfie cam has an 8MP sensor. Both record 1080p video. 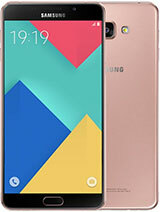 The Galaxy A9 (2016) has a 4,000mAh battery with 103h endurance, while the A9 Pro version goes up to 5,000mAh (it also adds a gig of RAM). The Oppo F1 Plus places more focus on the selfie camera than it does on the main camera. It's a 16MP camera with f/2.0 lens and 1080p video, compared to a 13MP f/2.2 camera on the back. It has the same Helio P10 chipset as the Xperia and a slightly bigger battery (2,850mAh), which offers noticeably better battery life, 74h endurance. Part of that is likely because of the smaller screen - 5.5" 1080p AMOLED. It's not very bright, but it does have better colors than the XA Ultra. 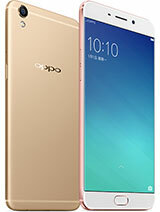 The Oppo R9 Plus is around if you need a 6" 1080p screen (also AMOLED). 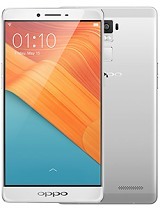 For some extra cash over the F1, you get a much faster chipset (Snapdragon 652), 64GB or even 128GB of storage and 2160p video capture from the camera. That's from the main camera with a 16MP 1/2.8" sensor. The selfie cam has a 16MP sensor. The battery is pretty big, at 4,120mAh. The older Oppo R7 Plus is a more affordable version. It has a 6" 1080p AMOLED screen too, but a Snapdragon 615 chipset. The camera setup includes a 13MP main camera (f/2.2 Schneider-Kreuznach optics, 1/3" sensor) and an 8MP selfie (f/2.4). Both shoot 1080p video. You get a solid 94h endurance from the 4,100mAh battery. 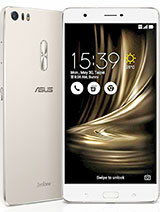 The upcoming Asus Zenfone 3 Ultra ZU680KL is humongous - a 6.8" screen! It has 1080p resolution and is backed by a Snapdragon 652 running Android 6.0 Marshmallow. The main camera is impressive - 23MP 1/2.6" sensor with an f/2.0 lens and optical image stabilization. It tops out at 1080p video, though. The selfie camera is a more regular 8MP/1080p shooter. The battery is big, 4,600mAh big, but not quite "humongous." 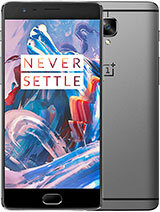 The OnePlus 3 is aggressively priced - so much so that it brings a flagship Snapdragon 820 chipset and 6GB of RAM to compete with the mid-range Xperia. The main camera is a high-quality 16MP shooter with OIS and 2160p video. The OnePlus has a capable 8MP selfie cam with fairly large 1.4µm pixels. The phone has a premium metal build and a smaller 5.5" display (but it's an AMOLED with great image quality). 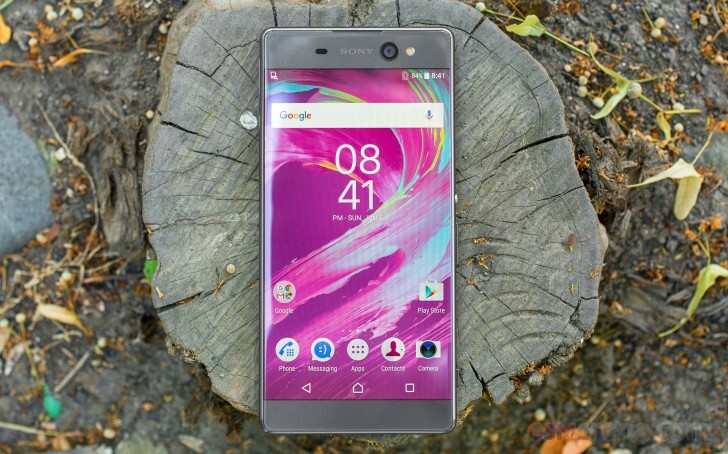 The Sony Xperia XA Ultra hasn't even reached proper market availability yet, but from what we gather, it should be priced around $380/€380. That's a lot of money but you also get a lot of phone for it. If the extra large screen is not compelling enough, then there are the two excellent cameras - front and back. The only departments where this great-looking phone falls short is battery performance and gaming performance. Regardless of this fact, the Xperia XA Ultra looks to be a much better value than what you could expect on paper. Sony, there's no shame in having a great mid-ranger. The Sony Xperia XA Ultra is great, so please get it a matching chunk of that Xperia X advertising budget. It deserves it!